The relentless move of HR to the cloud is ongoing, with over 2000 organisations now using or moving to the Big 3 software providers. And HR software in the cloud is not just for larger organisations, for example in the UK, Moorepay currently serves over 8,000 SMB businesses in the cloud for payroll, HR and compliance services. The good news for HR is that the HR technology industry has accumulated a useful body of knowledge for those about to embark on this journey. From my perspective having worked on over 20 different HR change programmes, HR in the Cloud, is a major catalyst for transforming HR. Organisations have been forced to standardise their processes and procedures so they can use the software, as there is no customisation with SaaS (Software as a Service). This brings simplification and focus on more valuable HR services. Also, making the case to the Board for investment in HR software requires a well thought through business case, and gives confidence that the HR Operating Model is fit for the future. So if software is forcing HR to rethink how it operates (the tail wags the dog) – who cares if we get positive outcomes? It is crucial for HR to get this transition right, collectively we have plenty of scars to show after some painful ERP implementations in the last 20 years. As an industry we need to ensure we pass on our learning and experience to others, and conferences like the HR Tech World Congress, this year in Paris, provide a good forum to do that. 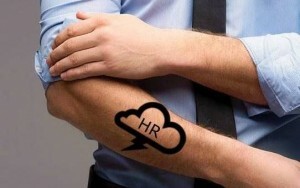 With organisations moving to the cloud we should learn from those who have “been there, done that, got the Cloud Tattoo”. If you are a HR leader, thinking about moving or in the process of moving to the cloud, then this article is meant for you. Once you have selected the software, now comes the hard bit – planning a successful cloud technology implementation. Here are some tips that you might not hear at the vendor pitch. You might be putting in a new system, but to be successful you will need people to work in a different way. The more thought you can put into the project team, future HR team, new skills and relationships the better. Sounds obvious, but it’s easy to lose focus with contracts, Board presentations and enthusiastic account managers to deal with. The project team needs to have a good mix of people who understand the new technology, those with a vested interest in a successful implementation, and those who have a good understanding of business needs and nuances. Do you have the right skills required for the project and if not, how will you fill the gaps? The skills needed to manage HR are different to the skills needed to transform HR. Work out how you will facilitate knowledge transfer between the technologists and your operational team. Ensure that when you set the budget and select the programme team, there are enough resources allocated to communications, change and training expertise – but you work in HR, so you know this right? Do you have a business sponsor? This is essential to provide guidance, support and credibility to the changes you are making. Preferably the business sponsor is someone who stands to benefit from the change, and doesn’t work in HR. Do you have a group of fans who “love” the proposed changes? These people will be crucial, so nurture their enthusiasm and lavish them with early reviews, and benefits. Customer user groups should be established up front and this will help you with #2 Decisions, Decisions, Decisions (see below). You may have selected and costed the software, but have you done the same for your implementation partner? Make sure you check out suitable partners before you select the software as this will significantly influence the pricing for your project. With system integrators, insist on meeting the team who are being proposed for the project. Having worked on both sides of the client/vendor fence, I know scheduling pre-contract is tricky. It is sometimes very difficult to say which of your team will be working for which client before the contract has been signed. However, your project should not be a glorified training course for expensive ‘green-beans’ ! Have you taken the IT Director out to dinner yet? The way we deliver HR is being revolutionised, and it’s similar in IT. With SaaS, we might not have to worry so much about the hardware, but it does throw up a whole load of other technology issues e.g. data security, existing infrastructure, mobile access and support that will require you to have IT on your side. The relationship between HR and IT is changing, but working together you can be even more effective in instigating change. 2 – Decisions, decisions, decisions…. You have made THE big decision – which software to buy. Now you now need to create the right environment to be a ‘decision-making factory’. As Peter Drucker said, “making good decisions is a crucial skill at every level”. Why? At this point the last thing you need is any delay, with deployment consultants on the project – every delayed day burns money. As you get into delivery, you will have to make a number of decisions along the classic project management triangle of ‘Time vs Scope vs Cost’. For example what happens if the implementation budget is cut or there are time delays? Ensure you have a robust governance framework agreed from the onset with a Business Sponsor to help iron out issues, decide who will be on your Governance Board and what their role will be. – How will recruitment approvals be made in different parts of the business ? – How will workplan harmonisation work? – The finer details of the revamped intranet design? The list goes on…..it’s worth keeping some kind of decision log so you can go back to the original vision and review design principles if needed (see #4 below Is your operating model fit for the future?). Well of course they will, but you need to be very clear about the expectations that are being set with your internal business customers – this is your job, not theirs. Worst case scenario? A demo with a short film showing smiling, happy software users – like a scene from the “Truman Show”. What the software vendors say will of course be true, but they might not (have time to) explain the effort, broken bones and cost to get to that dream state! Make sure you manage YOUR customers expectations NOT the software account manager. 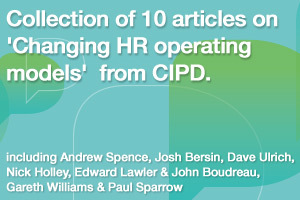 4 – Is your HR Operating Model fit for the future? Make sure everyone is clear on why you are making this change, and how it supports your organisation vision. If it doesn’t – then STOP. HR Operating Models are developing rapidly driven by technology, changing workforce demographics plus the insight that moving to a pre-defined model will not work. See these articles for more context Is Your Operating Model Fit for the Future?. We need to apply our OD skills to deliver a HR model that works for our organisation, the system should support this. Ensure the Board approve the vision and a simple set of design principles. Develop the elevator pitch, to motivate and train up new team members. Unfortunately, for large global projects, by the time the system is fully operational, the HR Strategy, and HR Operating required to support it might have changed anyway. The new system will need to support future workforce needs and future HR structures whether you have Business Partners, Shared Services or use outsourced providers. By now you will have your trusty project plan, but you will also need something that moves beyond the duration of the project. When the project is over, the transformation is only in the early stages, how will you embed the changes into ‘business as usual’? You will need the planners to be aware of the bigger picture, such as what other projects/programmes are going on that might impact your change? What are the ongoing activities you need to plan around, for example, operational peaks and troughs, holidays? The IT team will focus on the technology change, but how will old processes be phased out, as you introduce new HR services? With cloud technology you can implement more quickly than in the past, sometimes the pace is above your organisations ability to change. Try and factor this into your planning and expectation management. Make sure you control the pace of change, not the technology provider. Understand the known barriers before you start, there are plenty of lessons learned out there so make sure you can reel off the obvious ones and find a friend who has gone through the pain and earned their “Cloud Tattoo”. You will have a project team and leader in place, but given that you are the HR Director, and know a lot about #1 “the people”, your expertise will be in demand. You will have thought about how your organisation will make decisions effectively, but this will introduce just a little bit of process, meetings and review time. Your management of the change will require you to sell the change to your managers, so if you are the evangelistic type of leader, you will be on the road a lot. So clear the diary in the usual way. Finally, I hate to break it to you but even on successful implementation things will go wrong, sometimes really wrong. So build up as much emotional and mental resilience as you can – you will need it! As some old hands will realise, many of the considerations mentioned are not to do with Cloud models per se. My point is that we should not forget the collective lessons learned and wisdom of past technology implementations. For those who have been there, please share your tips and experience! This article was originally published on the HR Tech World blog as a guest post. This entry was posted on Tuesday, November 17th, 2015 at 8:32 pm	and is filed under HR Blogs, HR Conference, HR Director, HR Operating Models, HR Outsourcing, HR Project Management, HR SaaS, HR Strategy, HR Tech Europe, HR Tech World, HR Technology, HR Technology Conference, HR Tools, HR Transformation, hro vendors, Twitter. You can follow any responses to this entry through the RSS 2.0 feed. You can trackback from your own site.